Flying in Southeast Asia has come a long way in the past decade, with impressive growth from low cost carriers eager to take advantage of the region’s appetite for travel. Backed by Indonesia’s Lion Group, Malindo Air seeks to challenge the supremacy of its bigger rivals, billing itself as a hybrid airline offering low fares with premium inflight services. 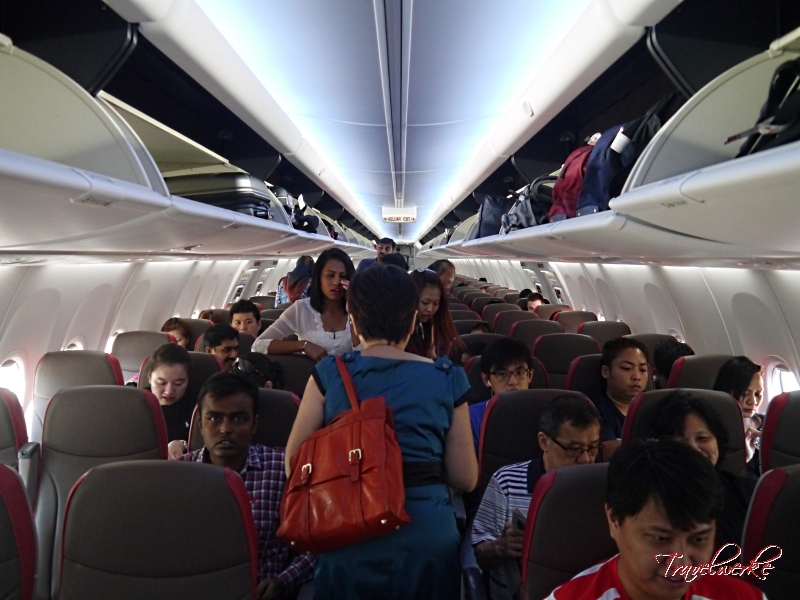 We join the underdog on a flight from its Kuala Lumpur hub to Singapore and see if the airline lives up to its promise as a “Smarter Way to Travel”. 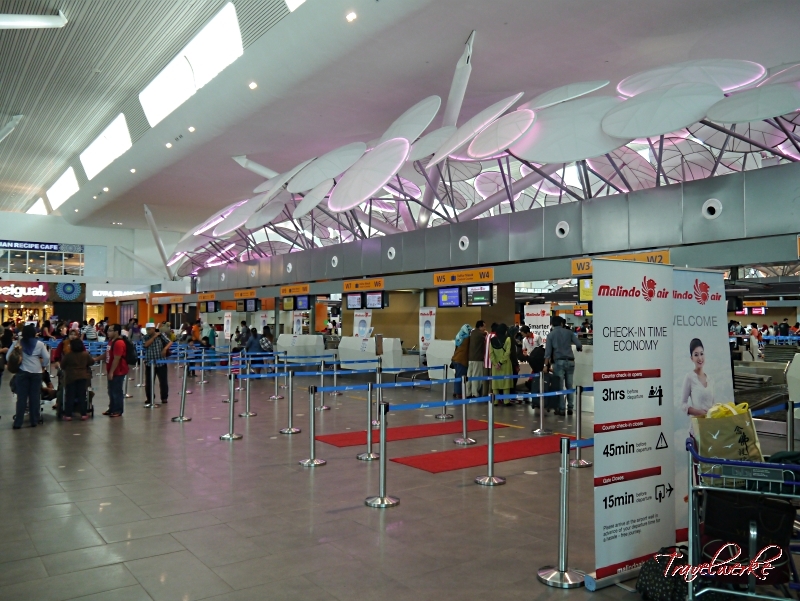 As we did not perform an online check-in, we arrived at the new KLIA2 terminal early in anticipation of long lines and wanting to secure a preferred seat (Malindo Air does not provide complimentary seat selection). Despite a busy departure hall, the check-in lines were not long and we were quickly attended to. The agent today was not overly friendly and performed the check-in without much interaction. Like most low cost carriers, the cabin bag policy was enforced by weighing all luggage. We requested for a window seat, which was duly assigned and we were soon on our way to airside. Boarding was scheduled to take place 1 hour before takeoff, but we found that this was started earlier with most passengers already onboard by the time we arrived at the gate. This made for a very smooth boarding process with none of the usual congestion experienced with low cost carriers. Our aircraft today was a Boeing 737-800 featuring the manufacturer’s Sky Interior, making for a feeling of space within the narrowbody fuselage entering the aircraft. While the flight attendants were present to greet passengers, they offered little assistance with finding seats or stowing bags in the overhead compartment. 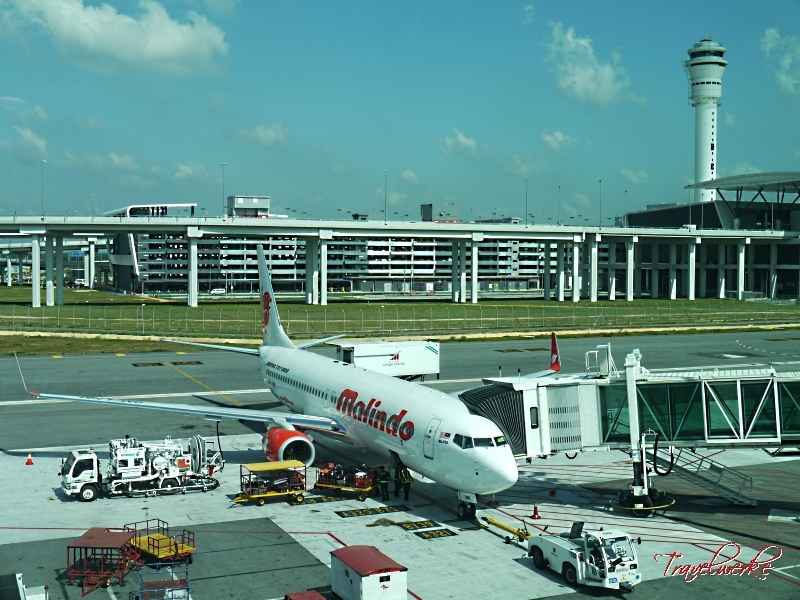 We found Malindo’s seats to be one of the best we’ve experienced in the air. 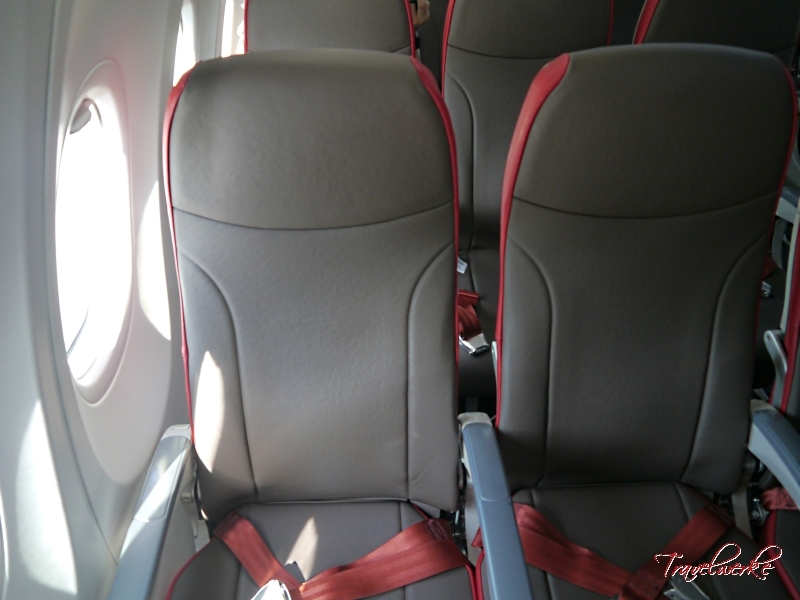 The taut red and brown leather makes for a smart looking cabin, with seat pitch and recline being excellent when compared with rivals AirAsia and even some full service carriers. 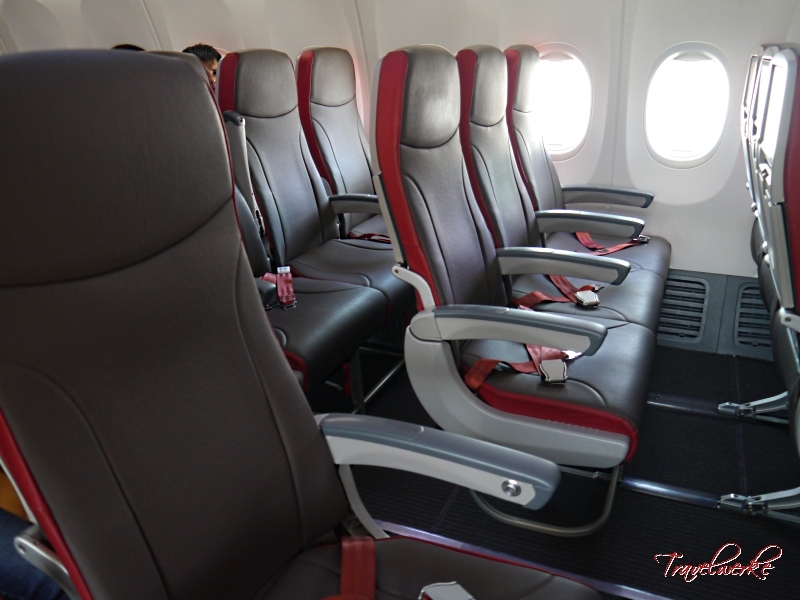 Despite being slimline seats, the padding was more than adequate and provided for a very comfortable flight. We thought the crew of this flight was rather reserved, quietly going about their duties with minimal interaction with passengers. That said, the service was efficient and professional with the cabin crew conducting safety checks and a refreshment service in the limited duration of the flight. Unlike its low cost rivals, Malindo Air offers a complimentary refreshment service on short sectors. Our inflight snack consisted of a packet of biscuits and a cup of mineral water. 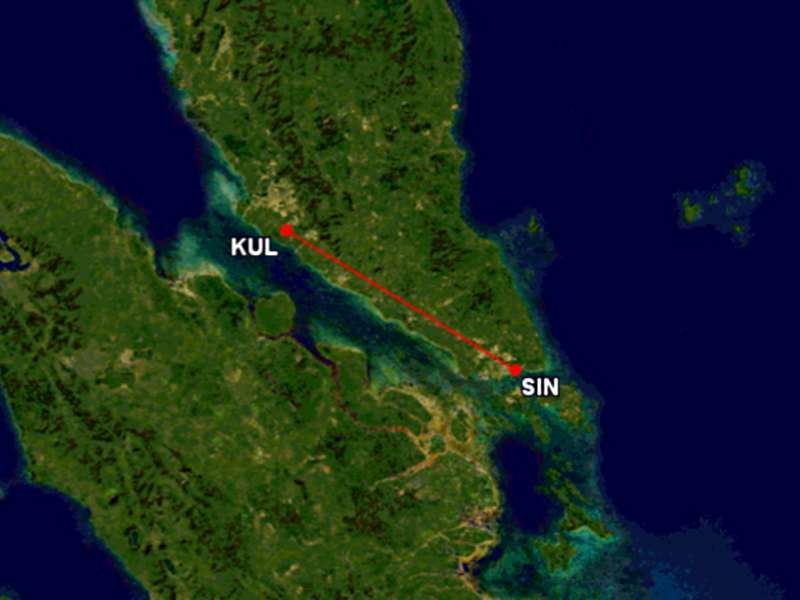 While this was nothing fancy, it is commendable that the airline offers it when most airlines plying the Kuala Lumpur – Singapore sector are eliminating the onboard meal/refreshment service. On its longer routes, the airline also offers a buy-on-board meal service for hot food and beverages. To differentiate itself from the competition, every seat on the aircraft is equipped with a personal touchscreen. 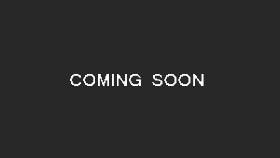 The content consists of a modest selection of movies, television programmes and games, as well as practical information about the Lion Group and selected destinations. 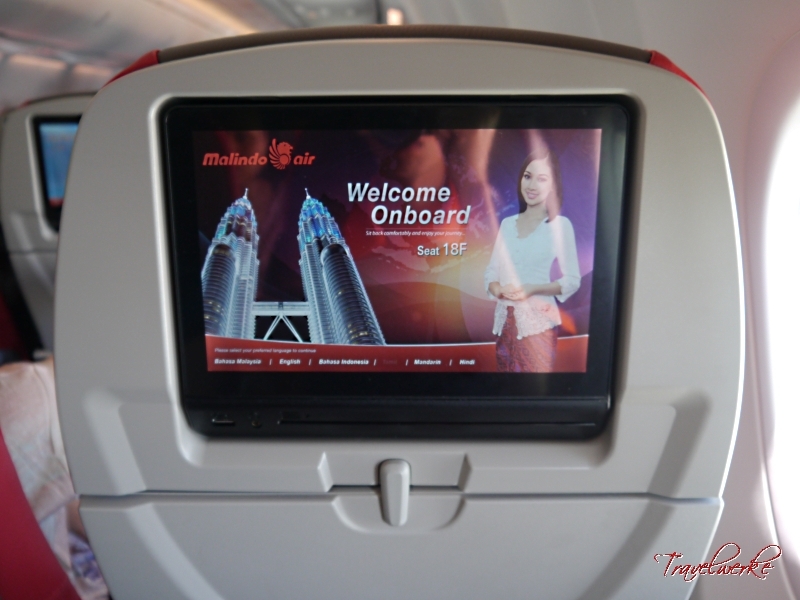 The system’s connectivity options are optimized for passengers to provide their own audio-video accessories, aimed at helping Malindo Air to reduce costs in this area. No earphones are provided (although they may be rented for MYR 15) and passengers may use their own plugged into the single-pin headphone jacks similar to portable music players and smartphones. The screen is similarly built with USB connectivity for passengers to charge their personal devices in-lieu of a power outlet for each seat. With ample padding built into the schedule, our flight arrived on time despite a late departure. A smooth landing followed by a quick taxi and docking saw the aircraft doors opened in under 10 minutes for a quick exit towards immigration and baggage reclaim.